Victims can receive assistance with completing their paperwork for the State of Tennessee's Criminal Injuries Compensation Fund (aka victims comp), as injured victims can file for payment or reimbursement of their out-of-pocket medical and/or mental health bills. In some cases, the fund will reimburse for unpaid lost wages. Staff will help victims to properly complete the application, and notary publics are available to notarize the form. 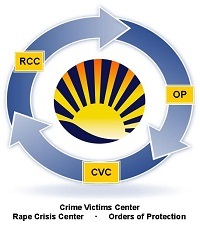 For help with completing the application and/or for notary service for the application, contact the Crime Victims Center at (901) 222-3950.